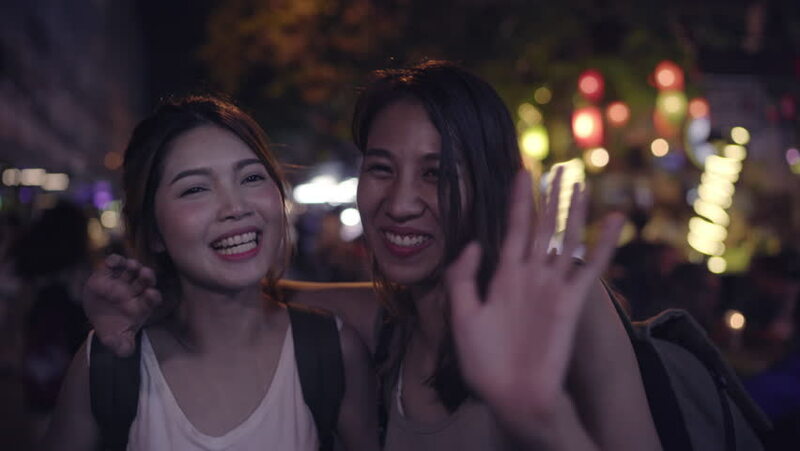 Traveler backpacker Asian women lesbian lgbt couple travel in Bangkok, Thailand. Female drinking alcohol or beer at The Khaosan Road the most famous street in Bangkok. hd00:18A fun couple goof around in front of the camera. hd00:10Young Man Whispering To A Beautiful Girl In The Ear. An Attractive Young Woman Expressed Surprise And Laughed Sweetly. hd00:30Slow motion - Traveler backpacker asian woman travel in Khao San road at Bangkok, Thailand. Happy young female spending holiday trip at amazing landmark and enjoy her journey in the night. 4k00:15Traveler backpacker asian woman travel in Khao San road at Bangkok, Thailand. Happy young female spending holiday trip at amazing landmark and enjoy her journey traditional city in the night. 4k00:14Happy Asian lesbian lgbt couple enjoy entertainment in living room. Beautiful women lying on a sofa listen to music on smartphone at home.